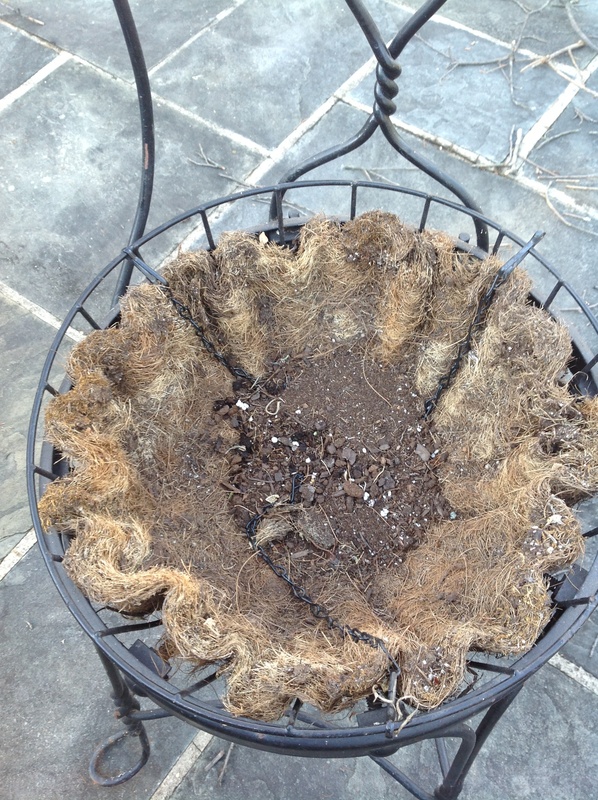 Transforming a cast-off chair into a flower planter is an easy and fun project. 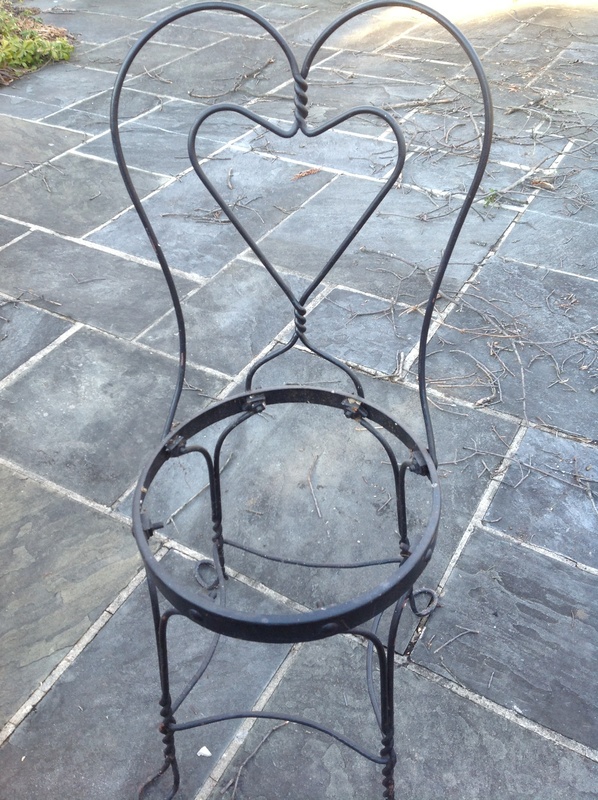 With yard and garage sales gearing up, now is the time to be on the look-out for a metal chair to repurpose. My classic ice-cream parlor chair was taken off a friend’s hands when she no longer had any use for it. Another’s man’s treasure! First, remove the plywood seat. If your chair needs repainting, sand any flaking old paint. Spray paint with Rust Oleum in the new color. I painted mine black. Select an insert that will fit in the chair’s seat opening. 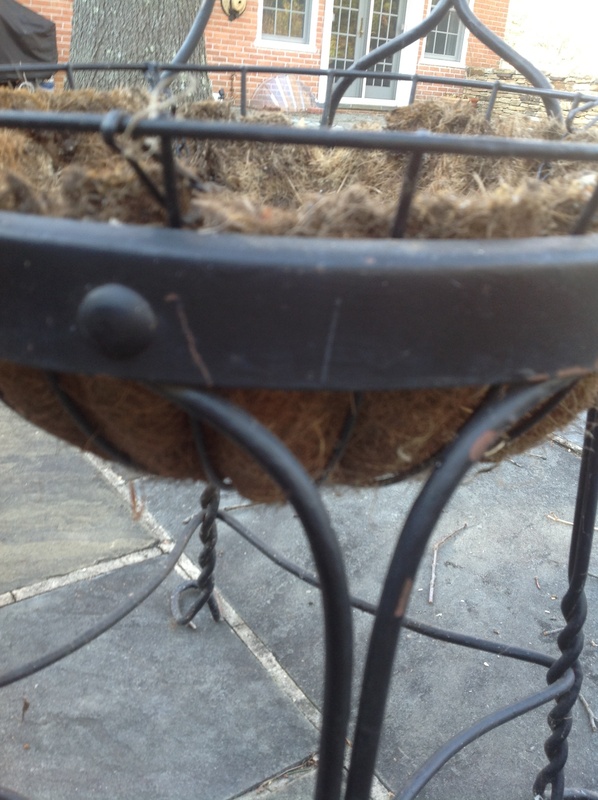 I used a black metal hanging basket fitted with a cocoa liner for mine. Fill your planter with your choice of flowers. 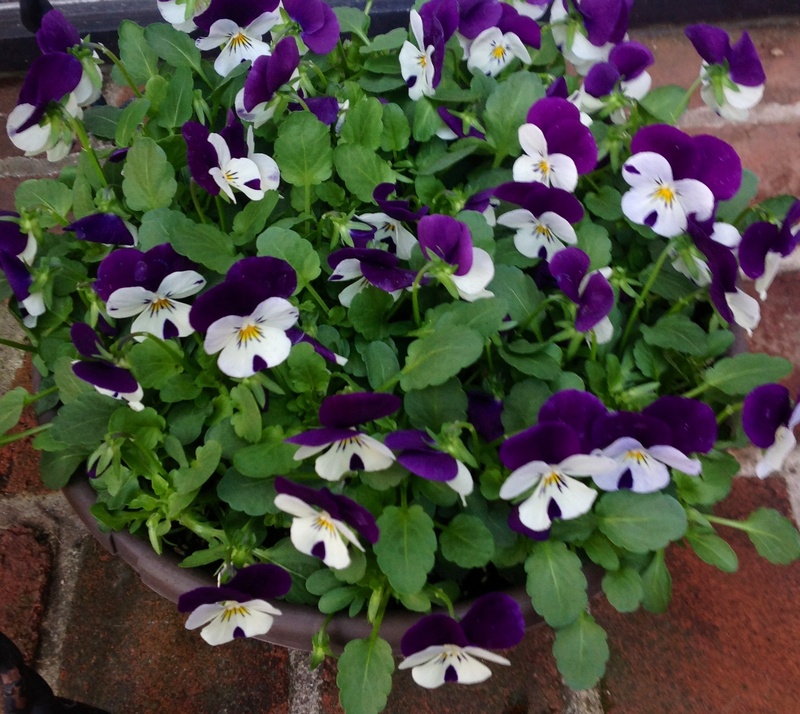 I love mine bursting with pansies in early spring, and even though we had a light snowfall just yesterday, I couldn’t wait any longer and got out in the garden today. 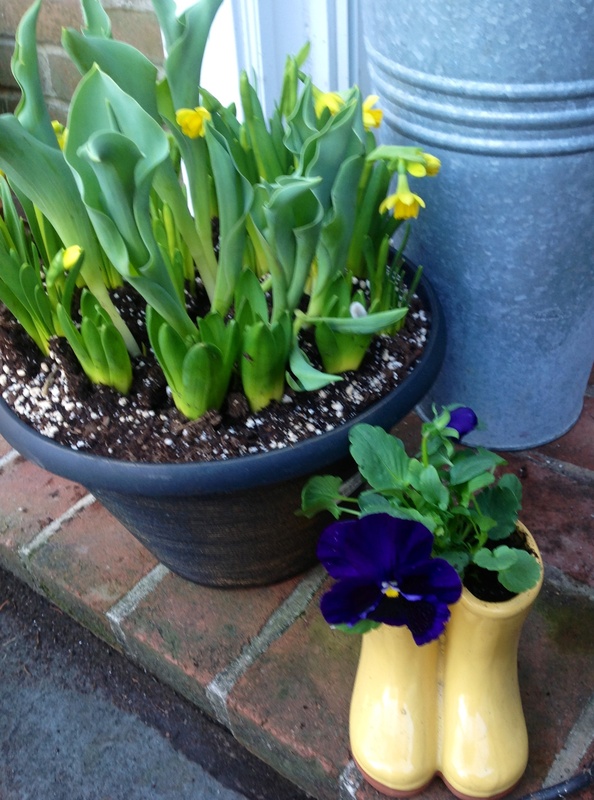 I created a spring vignette at my back stoop to cheer me on as I begin the arduous yard clean-up from this devastating winter. Happy Spring! 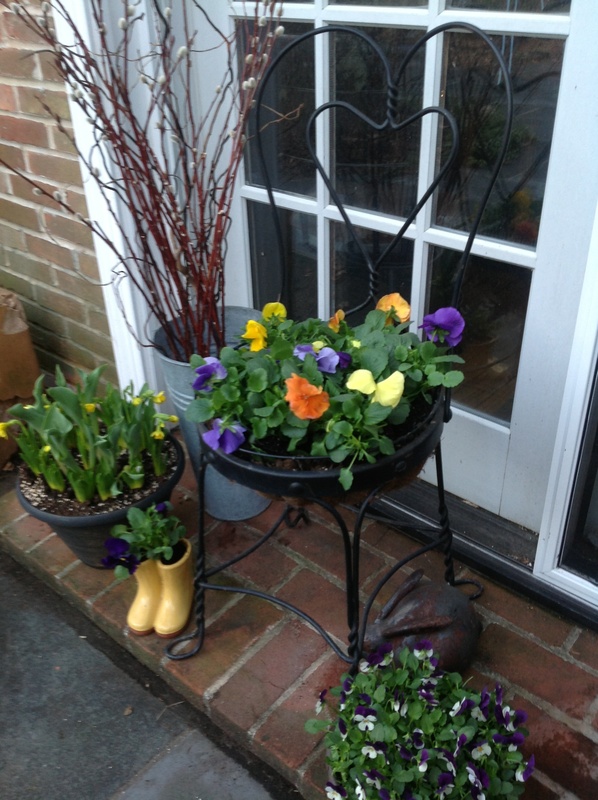 This entry was posted in Crafts, Gardening and tagged diy garden planter chair, garden planter chair, Repurposing metal chair, spring vignette by Johanne Lamarche. Bookmark the permalink. So very pretty and so YOU! 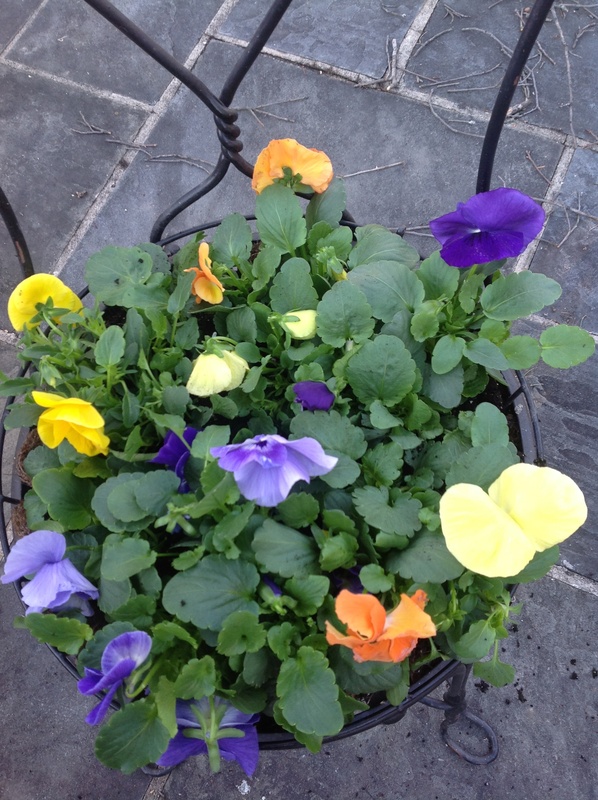 I love all the happy pansy colors. Spring can’t be far off. I love and adore how this looks…what fun…you and flowers are a perfect pair! Thank you Teresa! Have made 2 of these and often flank front door with them instead of urns. They are a fun upcycling project!